Matthew: Will you stop your daydreaming, Tommy Stubbins. Q: What are the lyrics for Leslie Bricusse's "Talk To the Animals"? 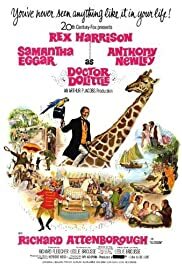 Having grown up loving the music, storyline and animal interactions in the origional Doctor Dolittle, it was a jarring shock to watch the scatological-joke loaded remake. Doctor Dolittle is a wonderful clean family film, with plenty of adult jokes to keep the parents chuckling and visual slapstick to tickle the young ones' funnybones. The music is top rate with the Oscar winning "Walk With the Animals" leading the way as the good Doctor searches for the Great Pink Sea Snail, encountering a number of wacky adventures along the way. 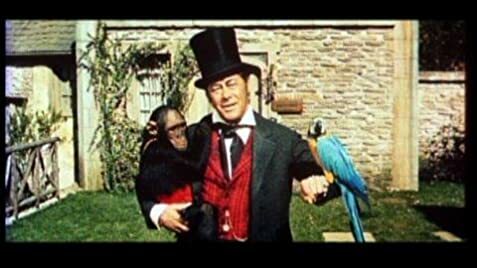 Doctor Dolittle would make a great companion to "Chitty Chitty Bang Bang" for an evening of old fashioned family entertainment. Suspend you disbelief for a few hours and watch this one with your kids and toss the remake in the garbage disposal.